Cher played tunes from her new album Dancing Queen during the Here We Go Again Tour in South Florida. The Goddess of Pop entertained a capacity crowd at BB&T Center in Sunrise, Florida with tunes from her incredible singing career. Backed by a talented dance troupe, the superstar left loyal fans wanting more. 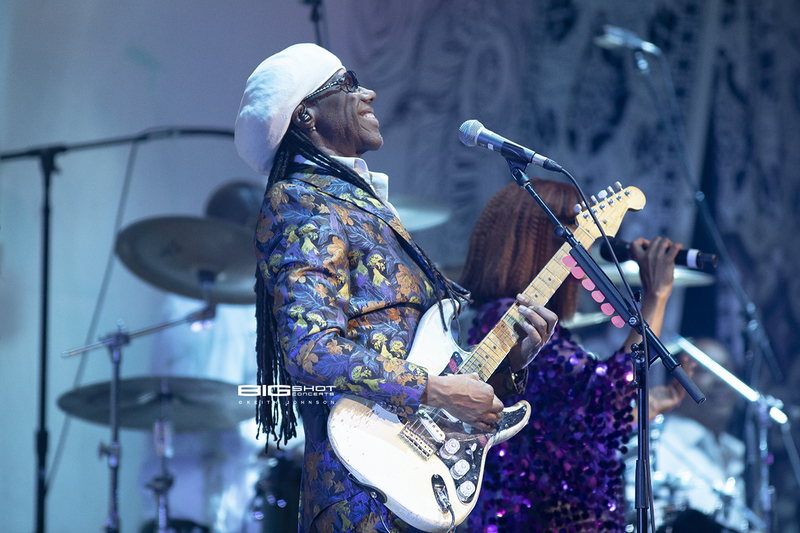 Famed American record producer, songwriter, composer, arranger and guitarist Nile Rodgers opened the concert. The legendary musician performed with Chic, the band he co-founded. 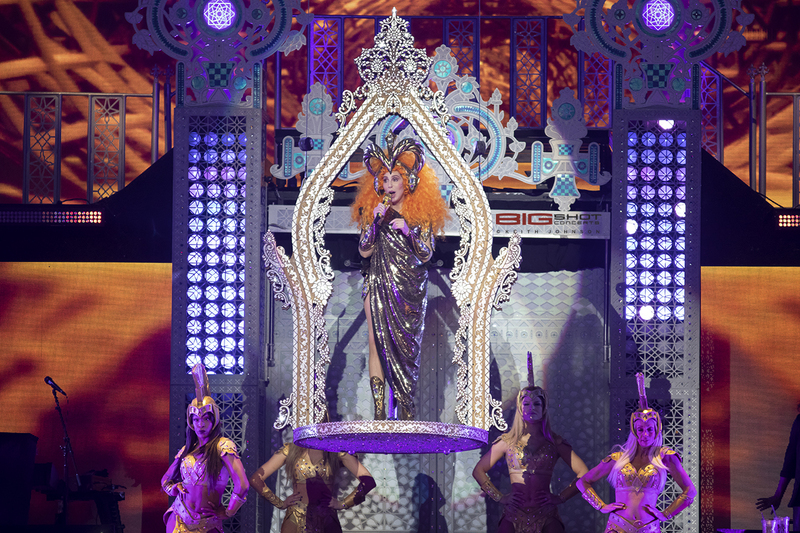 Goddess of Pop makes a grand entrance at BB&T Center. Here We Go Again Tour performs in Sunrise, Florida. Cher performs at BB&T Center with dancers. Live performance by the Goddess of Pop. Dancers perform with Goddess of Pop. Stage show featuring Cher and dancers. Live performance by Goddess of Pop. Cher on stage with dancers. Dancers with shields flank Cher. Cher is surrounded by dancers at BB&T Center. Concert photo of Chic singer. 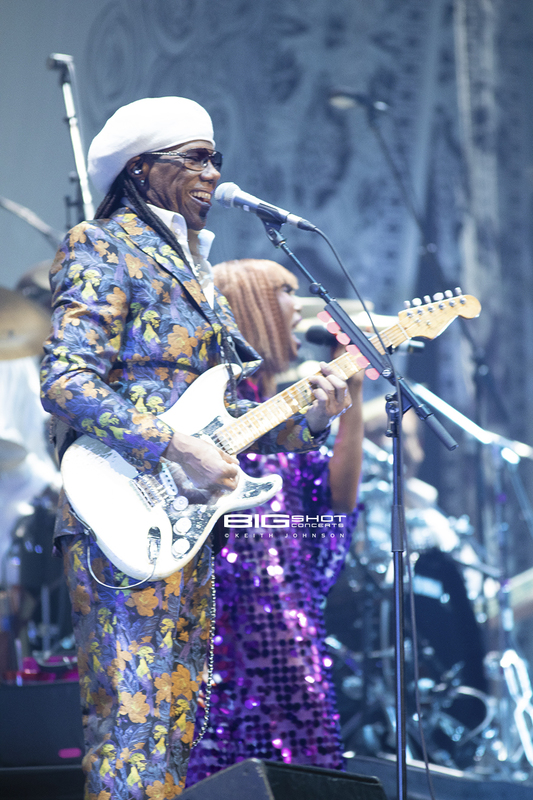 Photo of Chic guitar player. 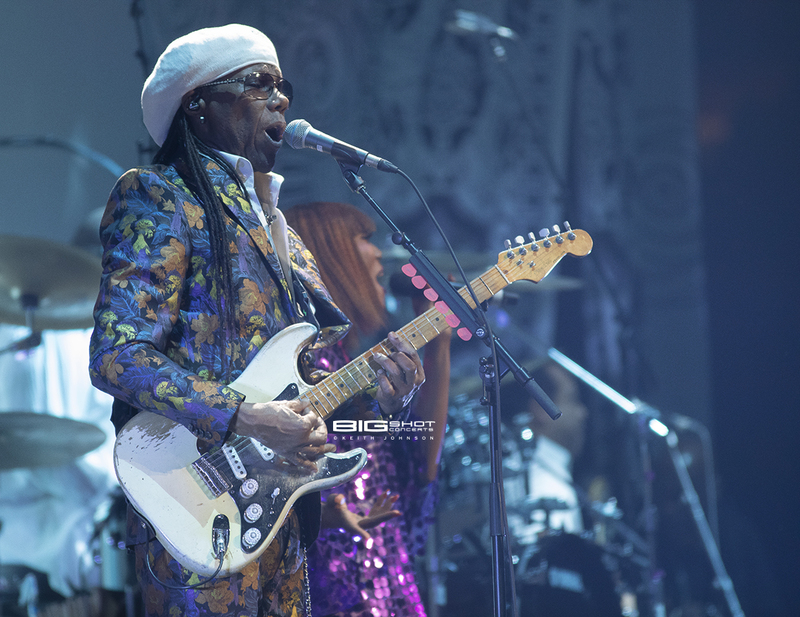 Concert photo of Chic frontman.